Meet Drugs McFarland. He's an Agent of the New Order and an avid bumper. In the course of his Code enforcement career, Drugs has developed some special skills. 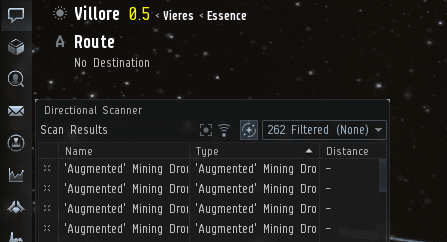 We've all seen them: Blingy drones have infected highsec. Countless miners have become addicted to them. When Agent Drugs detects them on his scanner, he flies into action. In a flash, our Agent visually confirmed the presence of illegal drones. Thanks to his bumping prowess and some knowledge of EVE game mechanics, Drugs soon separated an unlicensed Orca from the drones. 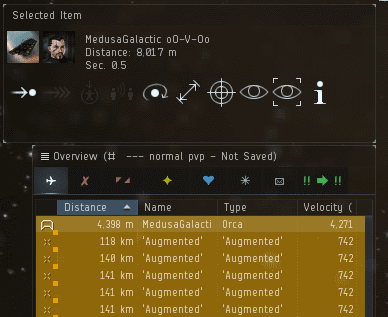 Confiscating drones can be a rewarding activity--especially since it allows an Agent to punish an Orca pilot without requiring a gank fleet. And if you do it enough, it can be financially rewarding, as well. Orca pilot MedusaGalactic oO-V-Oo eventually returned to his keyboard. He was astonished. Drugs McFarland was playing EVE on a level that MedusaGalactic didn't even know existed. When the miner finally understood the full weight of what happened, how would he react? A lot of highsec carebears react with anger and blind hatred. Others can't help but admire our Agents. MedusaGalactic lost his drones, but his eyes had been opened. He knew Drugs was an elite PvP'er. He wished he could be like that. These days, the supposedly pro-carebear theme parkists are only concerned with ensuring that CCP gets the carebears' money. Who actually teaches the carebears how to play the game? Our Agents do. 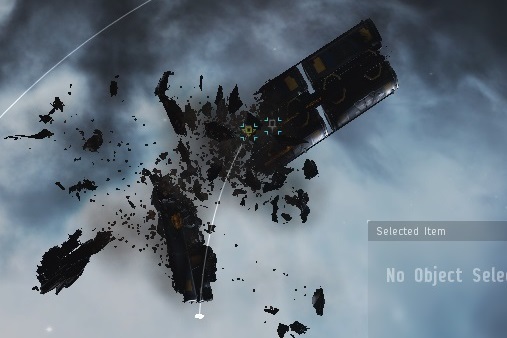 Though 250 million isk poorer, our Agent left the miner better than he found him. Player retention rates went up that day, I think. But not everyone reacts the same way. Miners, when the Code comes knocking, how will you answer? Hey, hotshot: Do you have what it takes? Agent ST0NER SMURF and his friends have smashed so many pods and collected so many tearmails that we can present you with another round of Vrix Nation's Guess the Pod challenge. 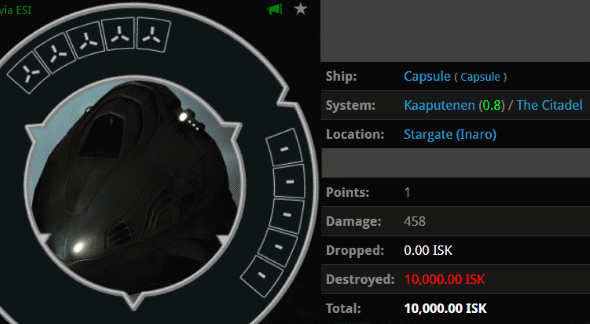 First up: A blingy pod, weighing in at half a billion isk. 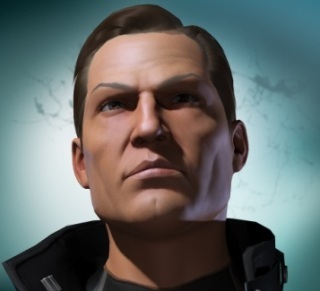 The juicy implants belonged to one of the following five tearmail authors. The rest of them had empty pods but mailed in their tears anyway. 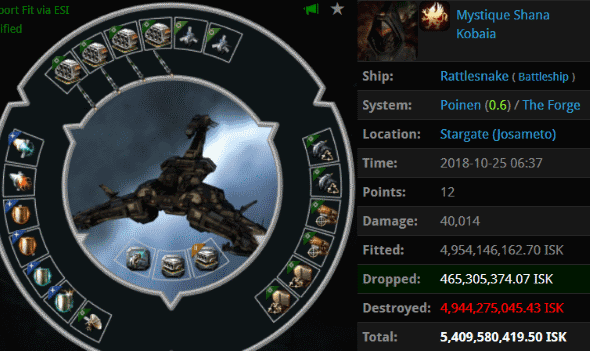 Arran Knoydart fancies himself a loyal nullsec soldier. A well-provisioned line member would certainly have the money to buy some implants. Then again, if you fight in nullsec, maybe you're used to going without. Flora Vida disguises her anguish with contempt--as if a carebear can look down on someone who just bested her in PvP. Danken Master at least took the time to read up on the mining permit requirement after losing his pod. Was he secretly tempted to obey the Code? 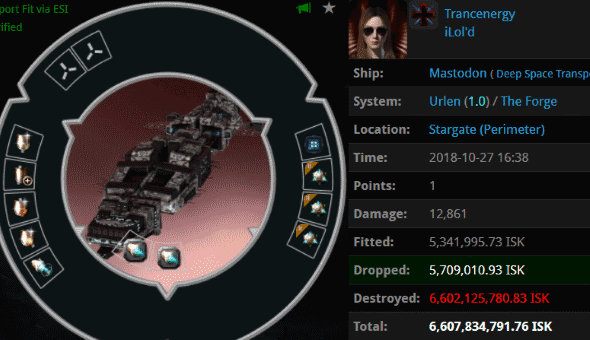 Amy Taiidan is another carebear whose true loyalty belongs to a nullsec empire. Unlike the previous example, Amy didn't pretend to be getting ready for a PvP engagement. Does she spend all day carebearing in highsec? Otto Bismark8899 kept it short and bitter. That's not an uncommon response to losing a bully pod, but maybe losing the bling pained him too much to write more. There you are, ladies and gentlemen. Have at it. Final warning before the answer is revealed. Lock in those answers now! 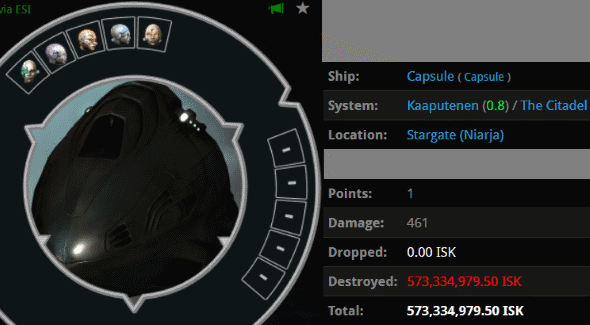 The owner of the 573 million isk pod was Otto Bismark8899, who had nothing left after his painful gank but a single F-bomb. For this next group, we're going to change things up again. You see, sometimes people send in tearmails without having been ganked. Four of these carebears lost pods to Vrix Nation, while one of them did not. Can you guess whose jimmies were rustled vicariously? 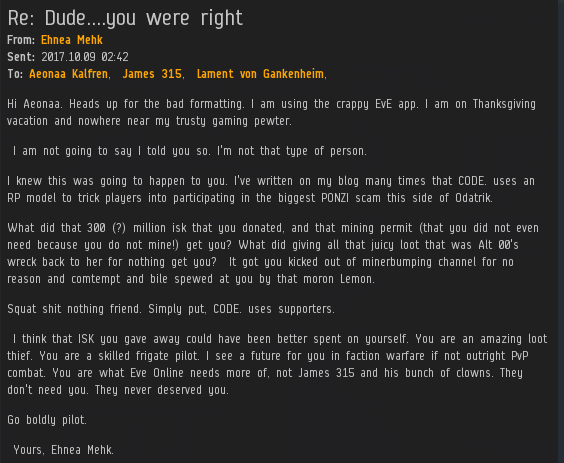 Iceacid Frostpacker claims our Agent was lucky, but is otherwise cryptic. The language barrier may be a hindrance to your sleuthing on this one. Tharkadark doesn't hesitate to dip into the autism well. If he wasn't a gank recipient, he sure looks like one. Rollo Solette is yet another "new returning player". Or is he? Rollo could be offering something in the vein of a "gf"--or cleverly angling for reimbursement. The salt flows freely from Draconis Malicite's tearmail. Sounds like another satisfied customer. Crux Novelic confessed his guilt before he even reached the end of his first (un-punctuated) sentence. A sure sign of a gank, there. Think carefully before you lock in your answer, dear reader. If you've made your decision, feel free to read further. If not, what are you doing? The correct answer is Iceacid Frostpacker, who didn't lose a pod to Vrix, but did suffer a gank from the mighty CODE. alliance a few weeks earlier. Helpfully, he was the only one in the group whose EVEmail subject line wasn't "Re: Violation of The Law of CODE." If you caught that, dear reader, your skills are being sharpened. If not, pick yourself up and get ready for the next fight. Welcome back to Guess the Pod, also known by its working title, "The Vrix Nation Mysteries, featuring Agent ST0NER SMURF". It's time once again for you, dear reader, to put your tearmail examination skills to the test. And today, it's a double feature. Here's our first mystery pod owner. Take note: We're not dealing with a blingy pod. This one contains some very cheap implants, so the pod is just barely not a bully pod. The rest of the pods are bullies, containing nothing but the frustrations of their former owners. Your mission is to identify El Cheapo. Victor Arnerette blames his loss on lag--something you'd expect from the participant of a giant fleet battle, not an AFK autopiloter. That kind of defensiveness doesn't speak to a bully pod. Alex J A-Cat is much too busy for punctuation--yet he can't resist the temptation to get the last word. Ah, the "new returning player". Tarys Anthar has been a newbie for over six years. Surely he could afford some decent implants, if he wanted to fit any at all. jon greenthumb has a lot of obligations. For some reason, he chose to prioritize his family over the Code. His guilt must have motivated him to write this essay. Could the loss of an empty pod have prompted such an EVEmail? Now, dear reader, the first part is concluded. Lock in your answer! I repeat, lock in your answer before reading on. 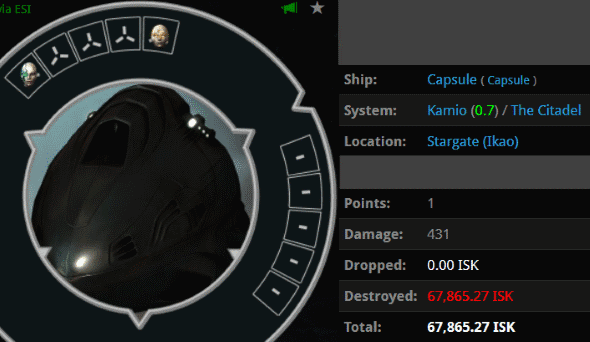 The owner of the 67k pod was none other than Tarys Anthar, our six-year veteran--er, I mean newbro. I suppose if you're going to play the newbie, you may as well look the part with some really cheap implants. Dear reader, it's time to step up your game. For the next pod, we're going to do things in reverse. It's your job to identify the owner of the bully pod. 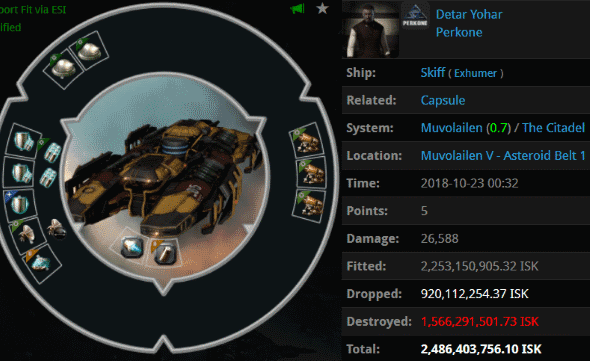 Each of the tearmail authors below lost pods with implants, except one. Can you identify him or her? Whiite Weedow's message was short, and apparently he still couldn't complete it. Owners of empty pods do tend to be terse. ...And ShadowfireWraith fits into that pattern, also. Maybe he couldn't believe that someone would go to the trouble of ganking his empty pod? ALTxF4's message outs him as the owner of a cheap--but not empty--pod. Then again, maybe he lost track of his own implants. One can never take anything for granted with carebears. Apophis Ahashion sneers at our Agent's skills, but he can't quite bring himself to offer a lowsec duel to defend his honour. Erakos Odunen can't even pretend to make a credible threat of spaceship violence, so he hexes our Agent instead. An empty threat for an empty pod? Get to work! Find the bully pod and lock in your answer. The owner of the bully pod was ALTxF4, who claimed to have a 50k Capsule. Few things are as paradoxical as the blingy Skiff. Detar Yohar intentionally chose a Skiff, rather than a Hulk or Mackinaw, because he wanted to decrease his chances of being ganked. And then he designed the most bizarre 2.4 billion isk Skiff fit imaginable. As soon as he was spotted by Agents Max August Zorn, Ernst Steinitz, Niels Henrik Abel, and Augustus De Morgan, Detar's chances of being ganked rose to 100%. 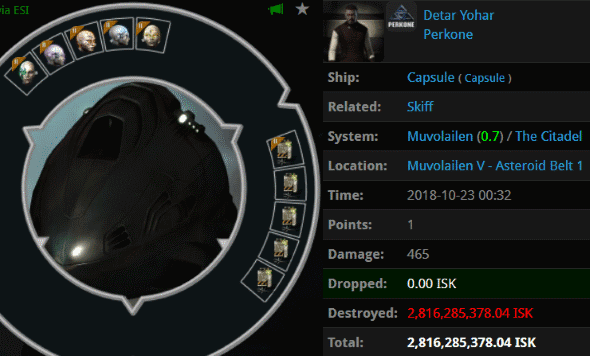 Any carebear who sends me isk after losing their ship is well on the road to recovery. 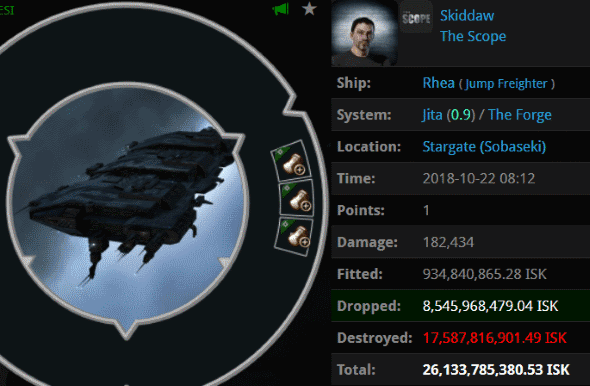 One of the craziest things about life in highsec these days is the way people throw away expensive jump freighters in Jita, one after the other. How many other Rhea pilots with ORE cargo expanders suffered the same fate that was destined for Skiddaw? Countless. Yet Skiddaw was apparently taken by complete surprise when his 26 billion isk ship was ambushed by Agents Tax Collector Kittens, Taxman Daniel, Benji Rackner, Tax Collector HongMei, Georgia Rackner, Australian Excellence, Tax Collector Hill, Tax Collector Larry, Tax Collector Aruka, Tax Collector BokChoy, Tax Collector KarlMarx, Tax Collector Stroheim, Tax Collector AynRand, Tax Collector Kimi, Tax Collector Alison, Tax Collector Richard, Tax Collector Max, Tax Collector Shardani, Tax Collector Buck, Pod Destroyer Molly, Tax Collector Fuemi, Tax Collector Yuna, Kill The Innocents, and Dr Hattrick. Hey, look at that. 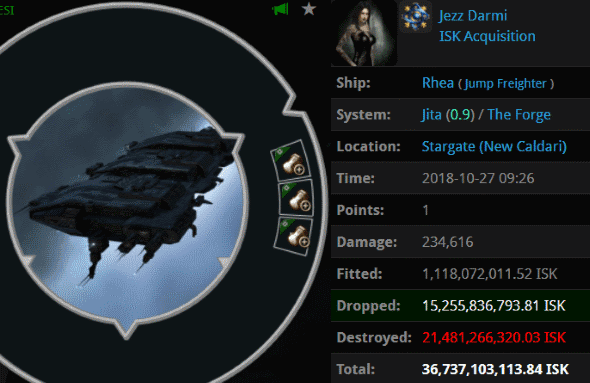 Jezz Darmi proved my point by adding herself to the Jita Hall of Shame. She one-upped Skiddaw by losing over 36 billion isk. Interestingly, Jezz belongs to the ISK Acquisition corporation. And the corp name fits, actually. What Jezz didn't realize is that the people who were going to acquire isk were the gankers who scooped her loot: Agents Jayson Kusion, Tax Collector Aruka, Tax Collector Richard, Tax Collector HongMei, Taxman Daniel, Justin Kusion, Jake Kusion, Tax Collector KarlMarx, Joel Kusion, Tax Collector BokChoy, Pod Destroyer Molly, Tax Collector Kittens, Jason Kusion, Tax Collector Max, Jayden Kusion, Jackson Kusion, Johnathan Kusion, Tax Collector Hill, Joseph Kusion, Jeremiah Kusion, Joshua Kusion, Australian Excellence, HSM Fleet Admiral, HSM Chief PettyOfficer, and HSM MasterChief PettyOfficer. Trancenergy isn't quite at the level of Skiddaw or Jezz Darmi yet. Maybe losing 6.6 billion isk in a Deep Space Transport will help prevent her from ever becoming a Rhea pilot like those two. If so, she owes a hearty thanks to Agents Throatslashar, Mongochicken, iZaEaRl, Spazmongloid, and Gandor Ironfist. Nice try. Those things don't make it very far in highsec. Remember that Skiff pilot from earlier? Detar Yohar lost his pod, too. 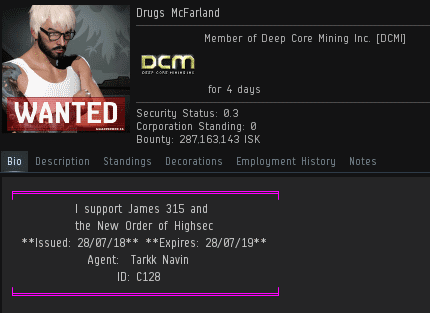 Agent Ernst Steinitz added another 2.8 billion isk to Detar's lossboard. Detar had plenty of expensive implants, but you know he treasured that 'Highwall' Mining one the most. Which is exactly why Detar didn't deserve to have any implants. Need your brain de-fogged? 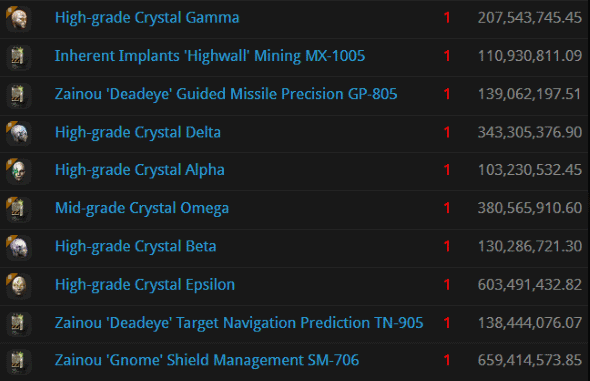 I've got just the thing: Another edition of the Highsec Miner Grab Bag! An hour earlier, MosquitO it said rude things to one of our Agents. Karma is delivered speedily in New Order territory. Time to go see your niece, miner. We do not yet have a Dutch translation of the Code. Maybe try to work from the German version until one becomes available? 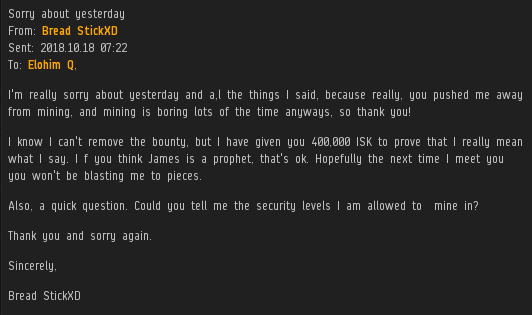 Lazershark sent me 10 million isk, along with a somewhat cryptic EVEmail. If he's sincere, the protection provided by the Code is all he'll need. "I would have purchased a permit if..." A hypothetical permit can't save your ship, miner. 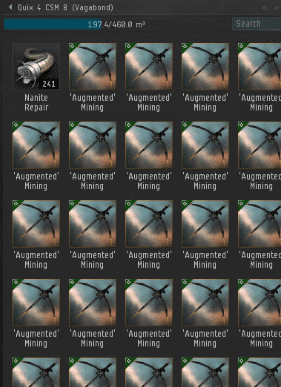 Everyone says it's safer to mine in nullsec, yet all of these alleged nullsec residents are mining in highsec. I guess they come here for the less-valuable ore, then. Miners who think it's fun to spend all day mining asteroids can't imagine the fun in shooting at a spaceship. Would you believe me if I told you ganking carebears is relaxing? For some reason, Aleskii Periannath asked our Agent to explain the birds and the bees. I suppose it's better to get that sort of information from an Agent than an Anti-Ganker. Friend, in highsec, getting your Retriever blown up is a "friendly message". Why do miners say "come at me" after already losing a fight? I was copied on this message for some reason. I'm sure there's more to the story here. Then again, maybe there's less. More miners should thank people--sincerely thank people--for pushing them away from mining. Highsec (and the world) would be a better place.